The queueing analysis of store and forward data communication networks is complicated by the fact that messages preserve their length as they traverse the system: in the queueing model service times of a message at successive queues (channels) are dependent. The present study considers the case of two communication channels in series with identical capacities and with a finite intermediate buffer. That part of a message for which there is no room in the buffer is lost. The resulting queueing model of two queues in series with identical service requirements at both queues is extensively analysed. Results include the distribution of the response time in the second queue (time in buffer plus transmission time in second channel) and of the total amount of work in the second queue. 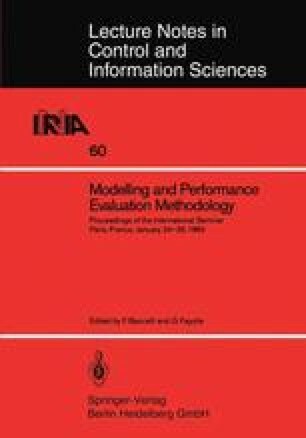 A comparison is made with the analogous queueing model with independent service requirements.